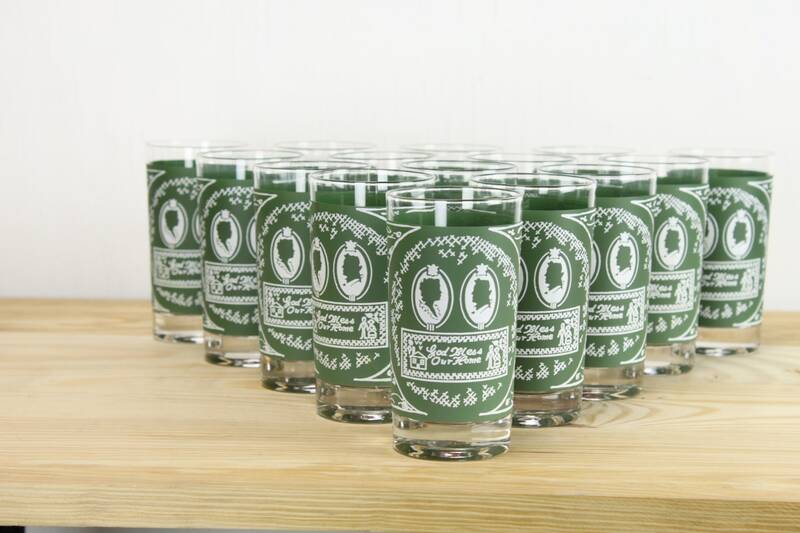 This amazing mid century set of highball glasses are in mint condition! 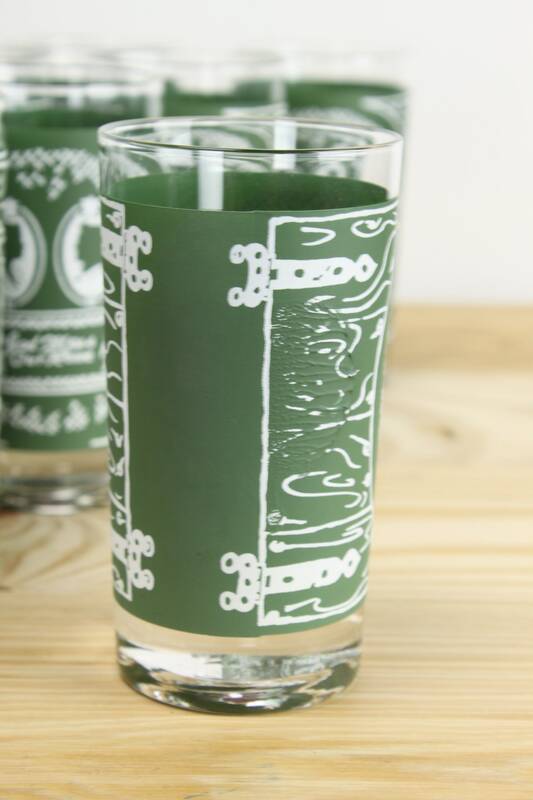 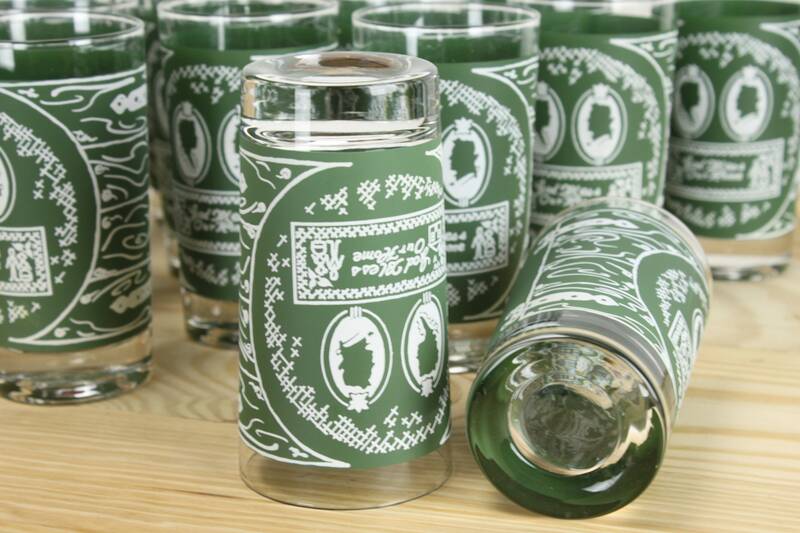 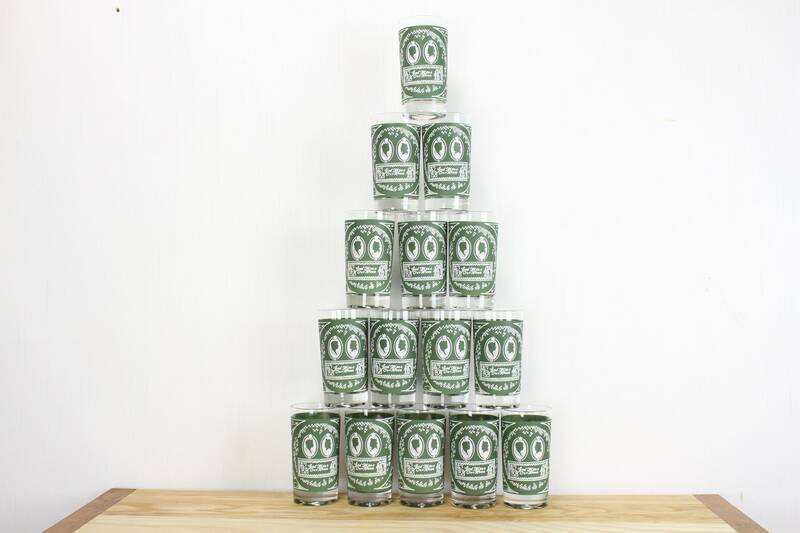 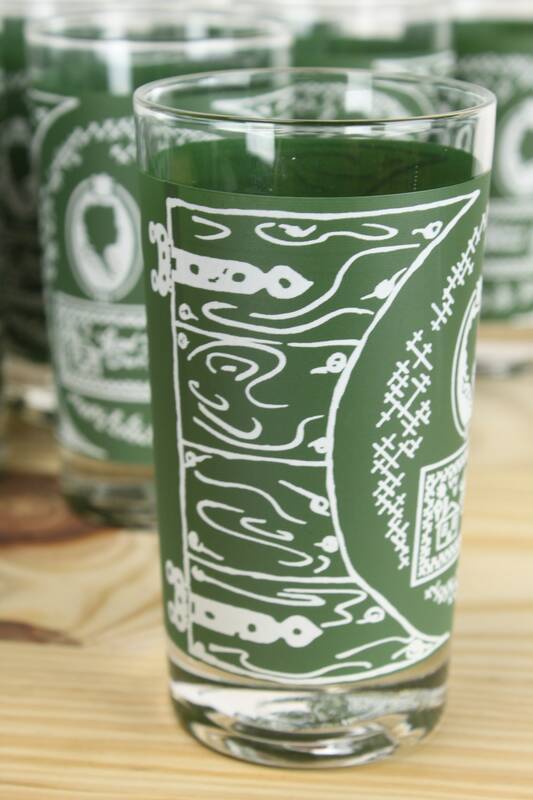 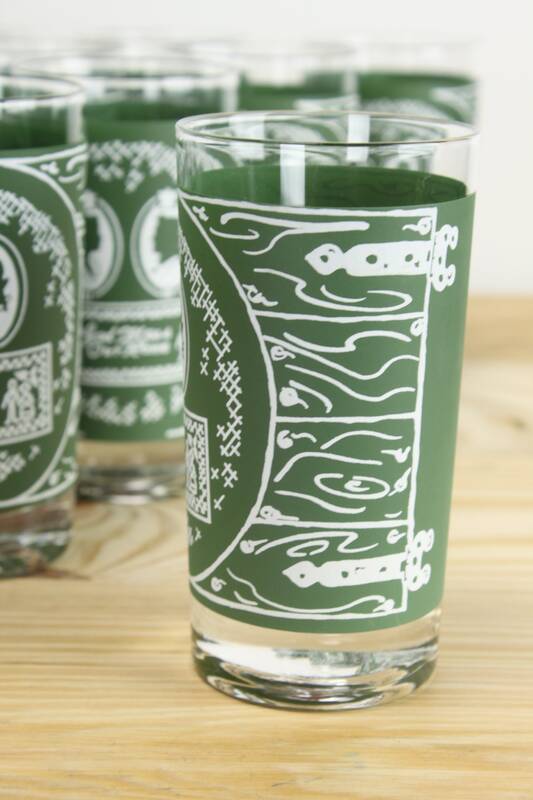 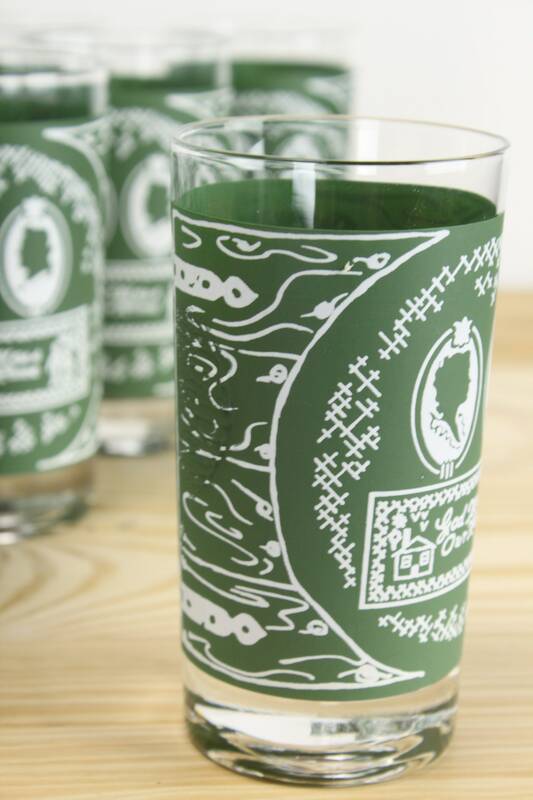 These handsome glasses hold 8 fl oz each and are decorated with a beautiful cottage chic pattern which features a white on green primitive window design with a his and hers cameo in the center. 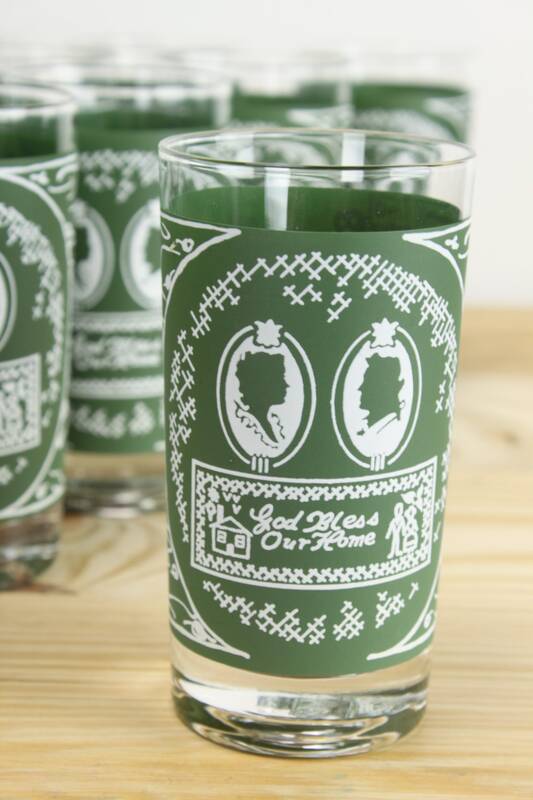 Under the cameo is a plaque that is reminiscent of needlepoint which bares the phrase "God Bless Our Home". 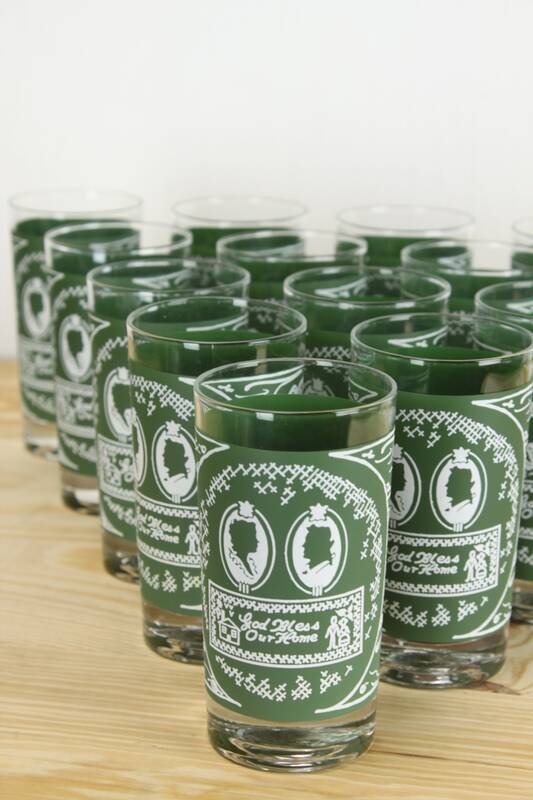 Whether you are looking for a new set of glasses for your home or are searching for a housewarming gift for your favorite vintage lover - this set is sure to impress!